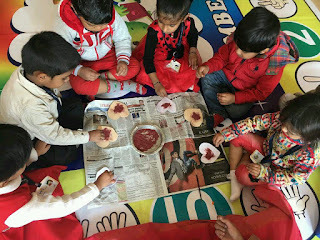 Little Wittians of Witty International School, Udaipur marked the day of love and friendship by celebrating Valentine’s Day in the school premises. They were told about the importance of the valentine day. They came dressed in red coloured clothes. They tried their hands on different artistry. 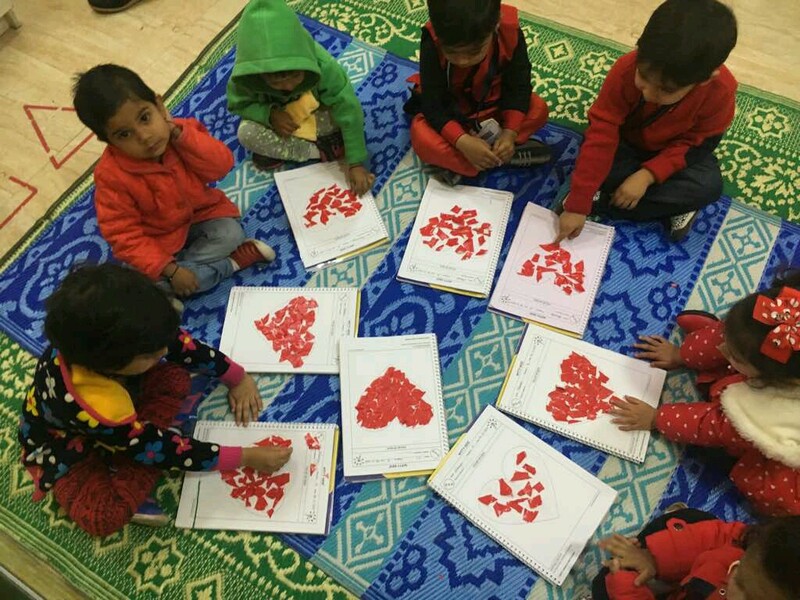 Playgroup and Nursery students did heart worksheet and enjoyed making Valentine ’s Day card. Jr. KG made a crown and Sr.KG crafted heart shaped bookmarks. They enjoyed sharing red coloured snacks and fruits brought by them in their lunch box. The teachers also conveyed a message that we should love and respect the people around us.